Present state: The station building and stationmaster's house is now a private residence. The signal box at the south end of the platform has been restored by the Eden Valley Railway who now run a service north from Warcop towards Appleby. The station house and main station building have been fenced off from the rest of the platform. The signalbox is fully restored and the Eden Valley Railway Society store numerous locomotives and rolling stock mainly on the track to the south of the station and in the goods yard which is used for maintenance. 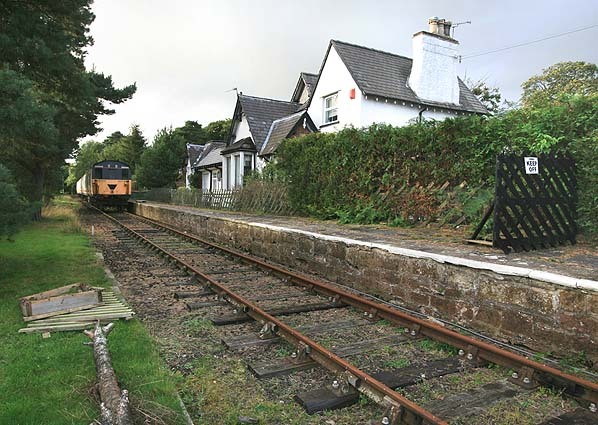 Notes: After closing to passenger traffic in 1962 Warcop remained open for freight until 19th June 1967 when only a private siding remained open. 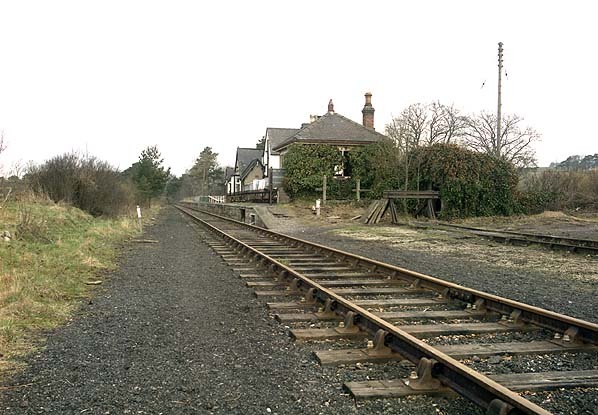 After that date the track through the station remained in place so trains could access Hartley Quarry and to allow the Ministry of Defence to use the station to load and unload Army vehicles for Warcop Army camp. 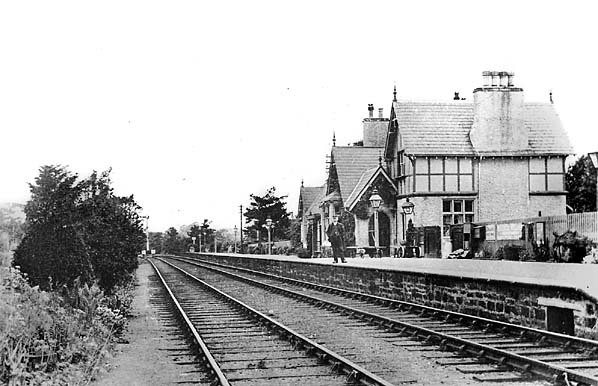 Military personnel also used Warcop Station when travelling to and from the camp. When the section of line from Hartley Quarry to Warcop closed, in November 1975, the line was lifted to Flitholme just south of Warcop station. The army continued to use the Eden Valley line until 20th May 1987. After this there were various railtours to Warcop, the last of these, the Eden Valley Creamer running on 28th March 1989, British Rail then mothballed the line. have now been cancelled until further notice due to damage to the Warcop Road bridge. 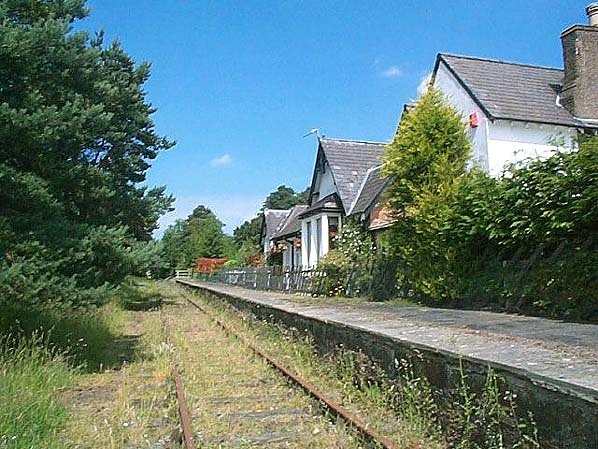 Warcop Station had a single platform with the stationmaster's house and station building on the down side of the line. A signal box was sited at the south end of the platform replacing an earlier larger box on the other side of the track 400 yards south of the station.. The large goods yard was sited to the south of the station on the up side of the line comprising 12 sidings, a loading dock and crane, goods shed, cattle pens and a coal depot. Despite the difficult terrain, progress on the 35 mile line between Barnard Castle and Tebay was rapid and this section opened to mineral traffic on 4th July 1861 with the passenger service commencing from a second terminus at Barnard Castle on 8th August 1861 with intermediate stations at Lartington, Bowes, Kirkby Stephen, Smardale, Ravenstonedale and Gaisgill. A sixth station at Barras was initially freight only first appearing in the passenger timetable in February 1862. The remaining section of the Lancashire Union line between Barnard Castle and Bishop Auckland was opened to passenger traffic on 1st August 1863. The line included a number of major engineering features mostly notably the 1040 foot 16 span Belah metal viaduct. After WW2 a programme of passenger closures began. 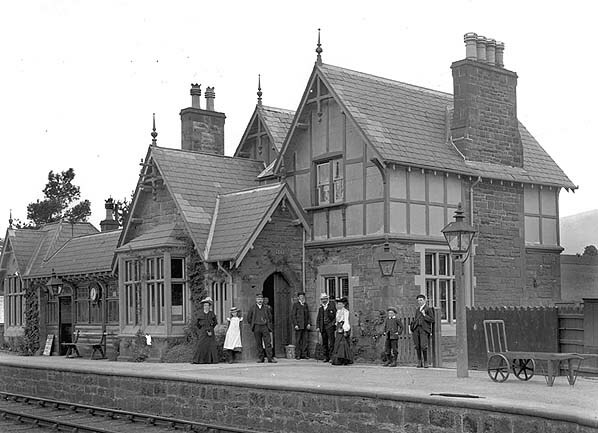 The first closures were between Kirkby Stephen East and Tebay which lost its intermediate stations from 1st December 1952. From that date Smardale and Gaisgill stations were closed completely, but Ravenstonedale remained open for freight. On the Eden Valley line, Musgrave was closed completely on 3rd November 1952 and Kirkby Thore on 7th December 1953. Temple Sowerby was closed to passengers on the same day but remained open for freight while Cliburn was closed completely on 17th September 1956. Between Barnard Castle and Kirkby Stephen East, Barras was converted to an unstaffed halt (and closed to freight) from 1st December 1952, and Lartington similarly from 2nd February 1953. East and Clifton Moor would become an unstaffed goods depot. There was a spirited campaign and petition to keep the lines open but following prolonged deliberation approval for the closures was given by the Minister of Transport on 7th December 1961. The North Eastern and London Midland Regions of British Railways moved quickly, and only twelve days later they announced that the last trains would run on January 20, 1962. Barnard Castle remained open as part of the branch to Middleton in Teesdale it was only a temporary reprieve as this too was quickly proposed for closure under the Beeching cuts closing to passengers on 30th November 1964 and to goods on 5th April 1965; the track was lifted shortly after closure. Temple Sowerby, Cliburn & Clifton Moor. See also Clifton & Lowther.